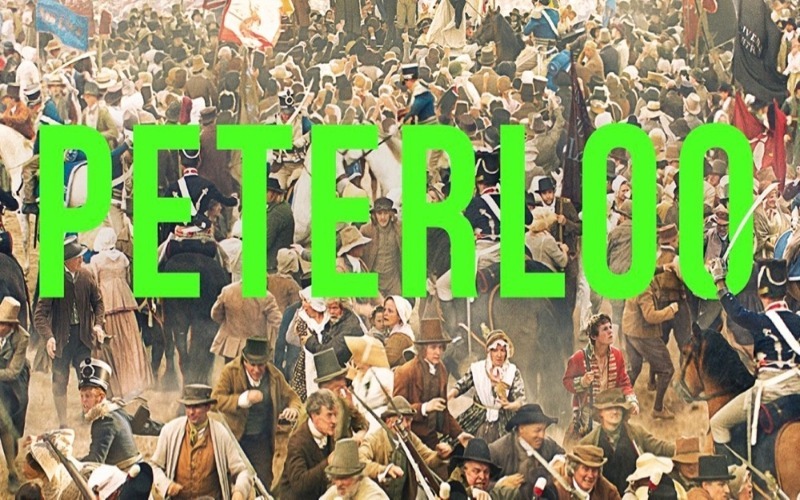 Mike Leigh’s PETERLOO featuring our very own STEVE GARTI opens in cinemas on November 2nd! In scenes outside Manchester, Leigh finds an unexpected, even pastoral sadness and beauty. The protesters gather on Saddleworth Moor to practise their drilling and marching – important for the maintenance of good order. There is something strangely moving about these men and women, whose lives had been utterly transformed and urbanised by new technology, assembling in a field and resembling the workers of centuries before. Two women quietly listen to the eerie, sad music of three fiddlers. With this richly intelligent, passionate movie Mike Leigh has fought a brilliant rearguard action on history’s political battlefield.